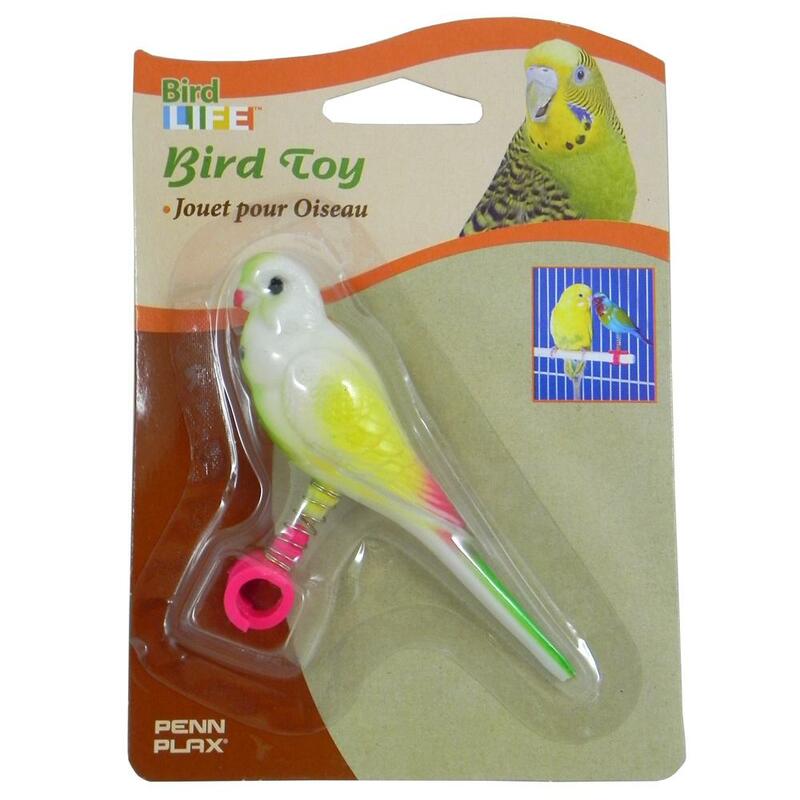 Plastic play bird sits on your birds existing perch. The hole in birds legs is for slipping over wooden perch (will fit perches up to 0.5 inches in diameter). Color varies, 4 inches inches long. This can be a great alternative to buying another bird to keep yours company.